I have a weakness for flakie polishes so I tend to buy every one I can get my hands on. 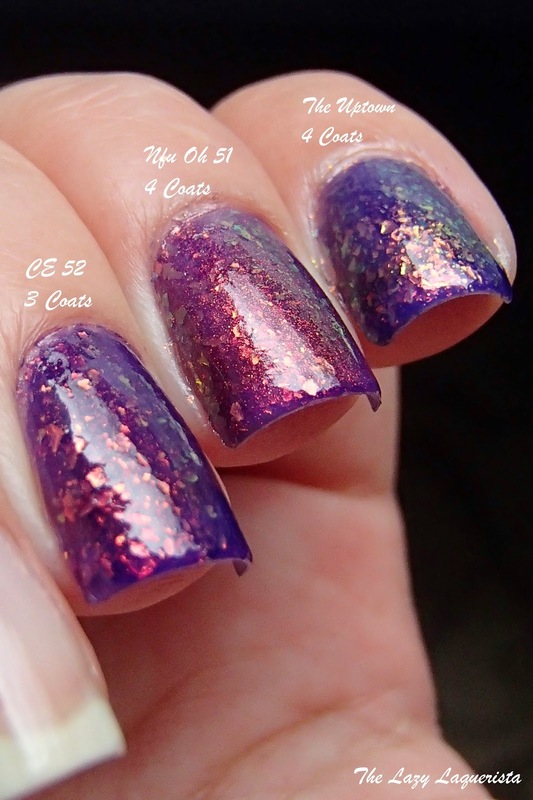 The result is that I ended up with three very similar purple based flakies. I wanted to see how close they really are and try to decide whether I need to keep all three. 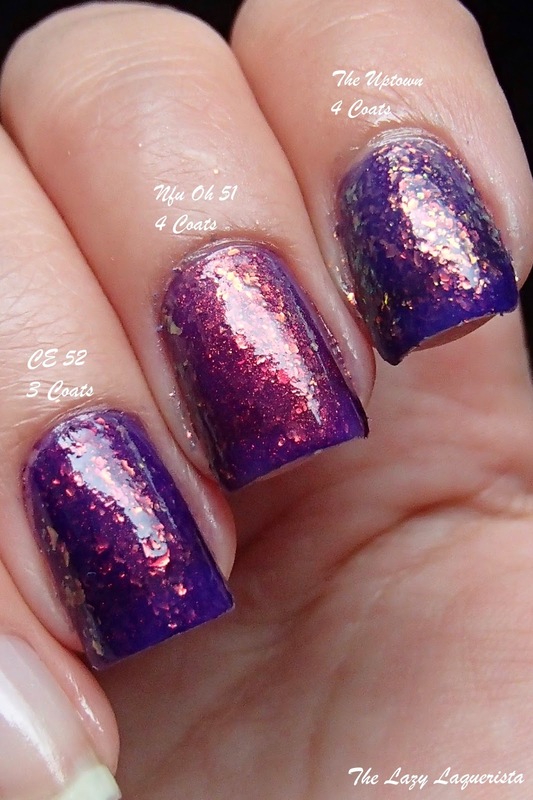 I applied each polish to one nail until it became opaque. 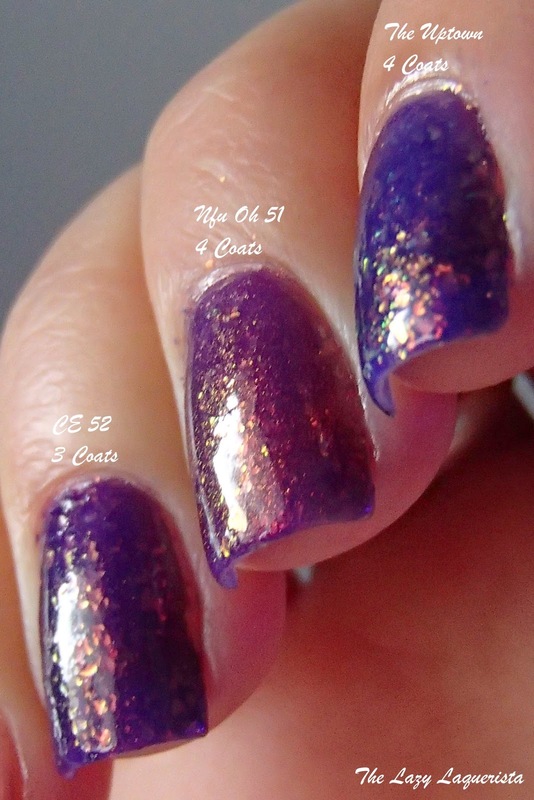 For Color Club The Uptown and Nfu Oh 51 this took four coats, but for Layla CE 52 it only took three. 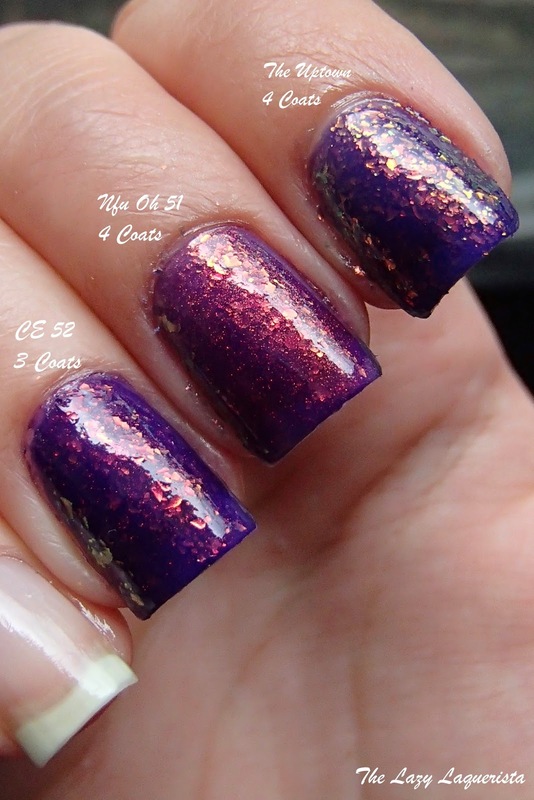 The photos below show these three polishes with one coat of CND Super Shiney top coat in natural lighting. The Nfu Oh immediately stands out as being different. It has a lot more red-copper shimmer than the other two. The Uptown and CE 52 look very similar on the nail. The Uptown is perhaps a tiny bit more blue but they're so close that I don't think you need both. 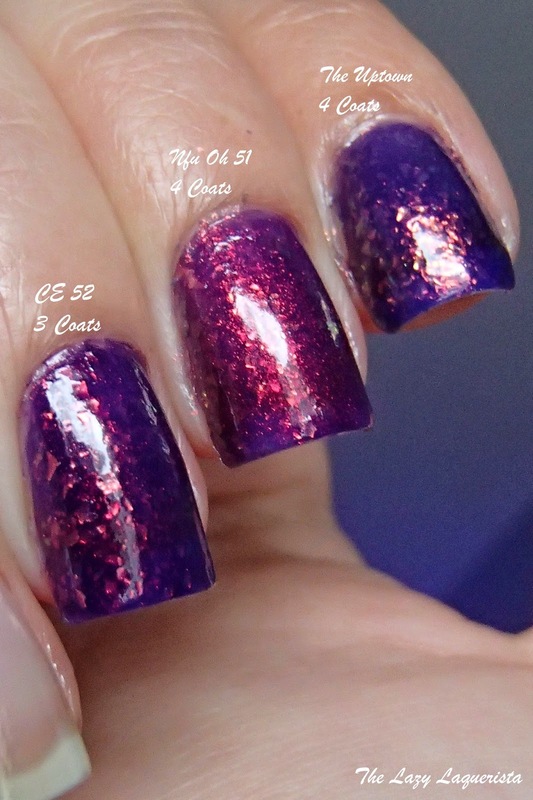 I would choose CE 52 as the better of the two since it took less coats to become opaque.